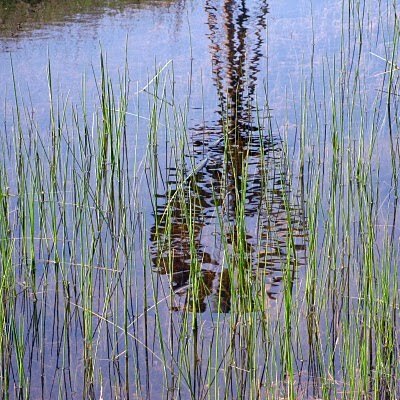 This is the windmill, at the Santa Rosa Plateau, reflected in a slow moving stream. Below is a close up of the reflection. 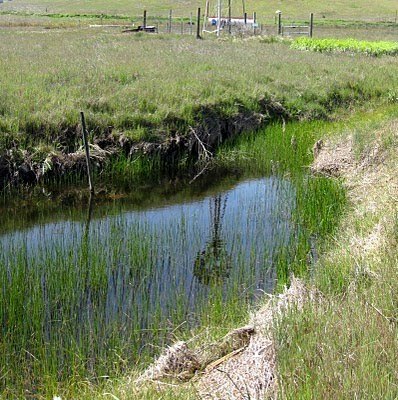 To me, it looks very "painterly". 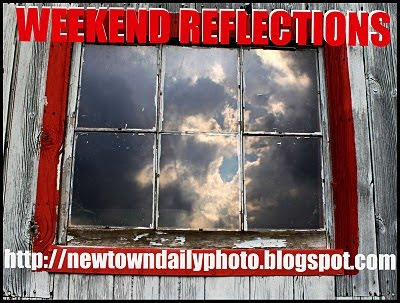 Be sure to visit all the other photographers posting Weekend Reflections, here. I really like the econd reflection as well. I even thought he same thing that Christina did. Wow, now that is scary!